First responders are a light in the darkness of a turbulent night, they are a light in the darkness of ragged tempers and despair, and one of the hardest things they must do is to retain a light in their hearts for themselves. For first responders are members of that group of people who are defined by their profession and judged, without separation, as a member of that group. This may not seem to be a bad thing since these people do such difficult, demanding things in their jobs, yet remain compassionate and kind; they are set up on a pedestal for children to emulate, and with just a saucy grin (female or male) can coax a ticket to the fireman’s or policemen’s balls. But it is important for us to know that these men and women have fought hard to gain their positions and will fight hard to retain them, they have a very solid, almost unbreakable base that has many pluses in their position, but can also prove fatal to close relationships and can lead to unhealthy relationships with drugs or alcohol. Yes, we should respect and admire these first responders, for they have done, are doing, and will do; they are, as a group, phenomenal people. Let’s not lose sight of the fact that they are human and deserve to be treated that way, don’t you think? 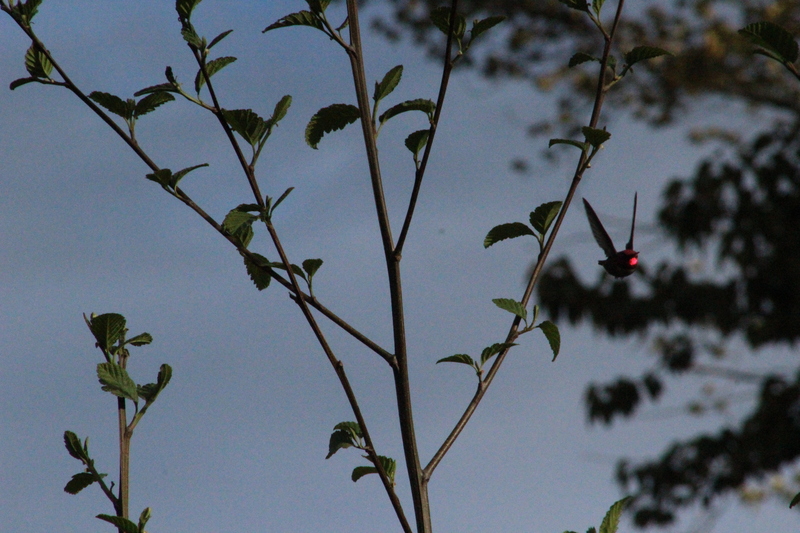 Categories: Digital Photography, life, nature, Philosophy, Photography, thoughts | Tags: athlete, dusk, duty, flight, glow, performer, responsibility, ruby throated hummingbird, vanity | Permalink. Many times when we are in free fall in our lives, when it seems everything is going wrong and you can do nothing right, the choice is made to throw up our hands in despair and let nature take its course. We react to whatever happens just enough to keep staggering on, but not much more. Unfortunately this can become a habit and a despairing and depressed mood may be come what is considered. If we allow this to happen we no longer have the capacity to enjoy a surprise, a sunny day, or even things as important as our children, besides showcasing a very negative approach to life. There are always choices that can be made to avoid these kinds of pitfalls: if we can’t get out of the free fall we’re experiencing, we can choose to begin to fly a different path instead, we are free to choose free flight. Like a skater during the free skate part of their competition, we may be constrained some of the time, but we are not constrained all the time. Instead of allowing constraint and the ingrained habit of follow other peoples’ paths, we truly can choose to be ourselves and hack out our own paths. It may be difficult indeed to do so, but isn’t it worth it? 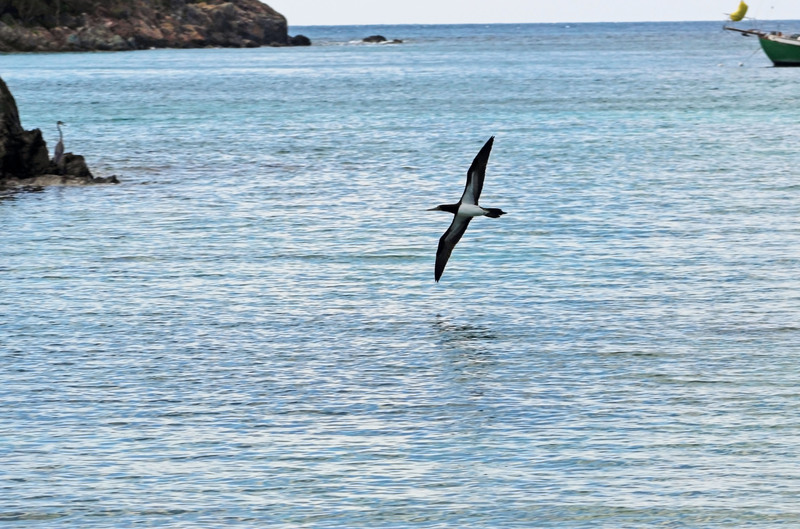 Categories: goals, life, nature, Philosophy, Photography, thoughts | Tags: Booby Rock, choices, confined options, free fall, free flight, masked booby, sea, yearn & earn | Permalink. Solidarity feels wonderful to those within a group and expressing their solidarity in various ways both private and public. Why, being able to publicly express your togetherness and unity of thought is one of the most appealing things about any kind of purposeful meeting of like-minded people. Any group of people can devolve into a mob, but with effective leadership the group can become a powerful voice for whatever it is propounding; it will easily recruit converts as well. However any time a group finds itself in the power of a dynamic leader, they may be headed for a fall or disillusionment; for once the consensus has left the group and the group members are in thrall to the leader and the leader’s coterie, and then – a class system is born; one that might make sense at the beginning of any leader’s term, but when allowed to continue, does continue with the separation of groups. At that point it is very difficult for the groups to come together again, or even to admit that they once held similar or the same views. This is where commonsense begins to disappear when merely a sense of common goals or feelings held in common could benefit us all. Isn’t it a shame that we don’t seem to be capable of even that? 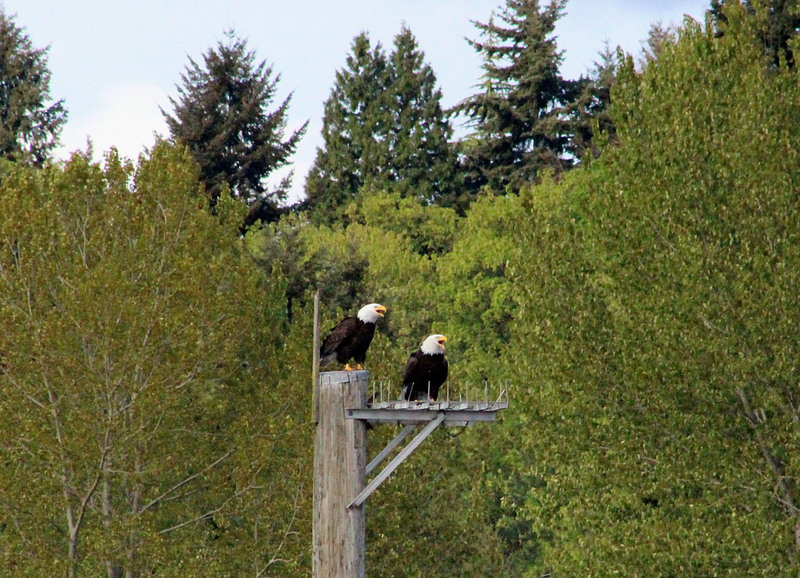 Categories: Digital Photography, life, nature, Philosophy, Photography, thoughts | Tags: bald eagle, companionship, mass, power, scream, shared belief, solidarity, strength | Permalink. A hideaway is not a place that you share with anyone, you might talk about the fact that you have one, but one of the primary purposes to having a hideaway is to keep it completely private, place that is not contaminated by anyone else’s presence, not even your soul-mate’s. Some people don’t seem to need a hideaway, some people don’t seem to need one, and some people find that just having one in the event that they need it is enough. Though we are social creatures and some are more social than others, we all need to have private, alone time to mull over happenings and possibilities, to thinks things through before making a decision, to evaluate possibilities, to mourn or savor joy. While none of these things absolutely have to or need to be done in private, taking a bit of time to think about them on your own may help solidify things in your mind and you may be confronted with fewer surprises. A hideaway doesn’t have to be a specific, physical place, though it’s nice if it can be, but can any place that you can be alone without being disturbed, and for those of us with fantastic mental control it can even be a crowded room as long as a calm place in your mind and heart can be allowed to work without interruption. But we all have someplace like that, don’t we? And if we don’t we want one? 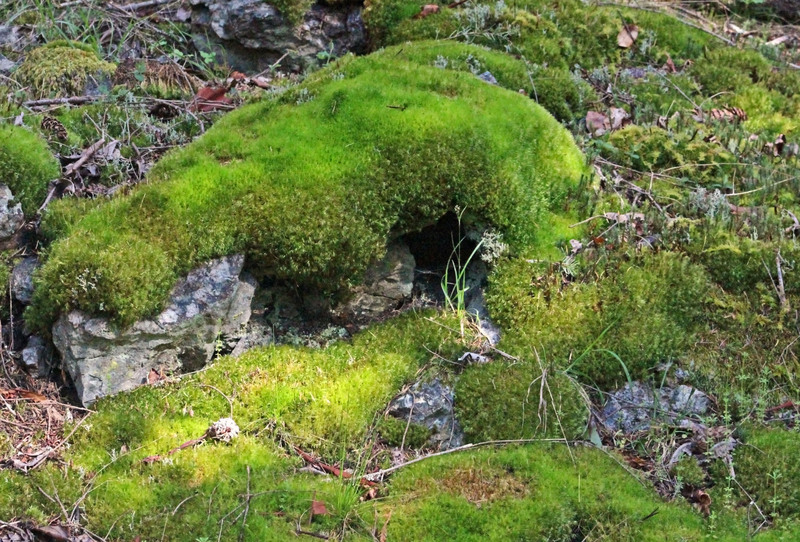 Categories: Digital Photography, life, nature, Philosophy, Photography, thoughts | Tags: hidden, hideaway, moss, solitude, stone sleeper, thinking, unexpected | Permalink. There is always someone who is ready, willing, and able to take the position of look-out. It seems it is best to let them do so since they are already invested in the task and will bring zest and enthusiasm to the job. A look-out should be able to see objects near and far with ease and to be able to read general moods and attitudes from a distance, even at night or in thick weather. For look-outs are depended upon for much more than their keen eyesight and warnings or notifications of arrivals. In fact, in these days, look-outs are much more likely to be standing right beside you than at the crosstrees of a mast or at the top of a castle wall; they may sense a threat to your wallet or esteem more quickly than you do; they may perceive the presence of an anticipated arrival with enough time to let you get composed. But, most engagingly, a self-designated look-out is willing to support a single person, a group, or anything they can honestly get excited about and that is very refreshing. Just seeing a look-out at work can bring a little cheer and excitement for your own into more play or back into play. Wouldn’t it be nice to be a good example? 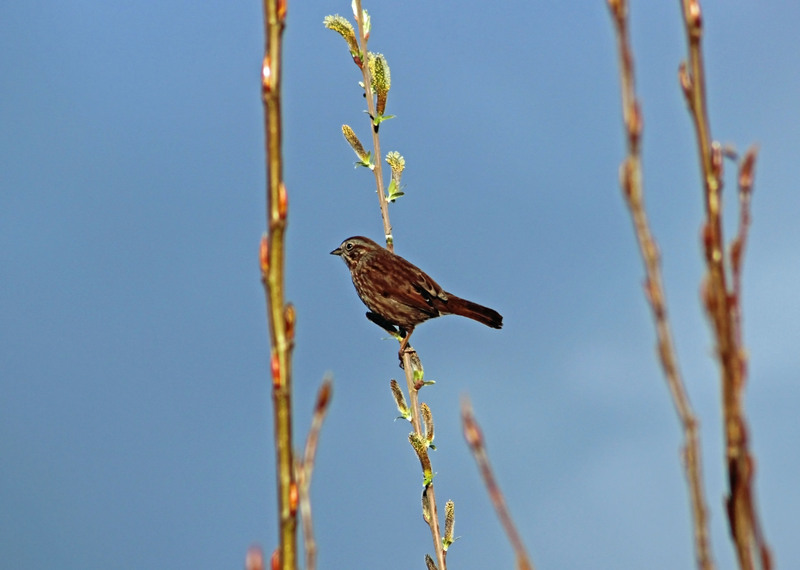 Categories: Digital Photography, life, nature, Philosophy, Photography, thoughts | Tags: duty, look-out, prepared, swamp sparrow, warn, wetland | Permalink. 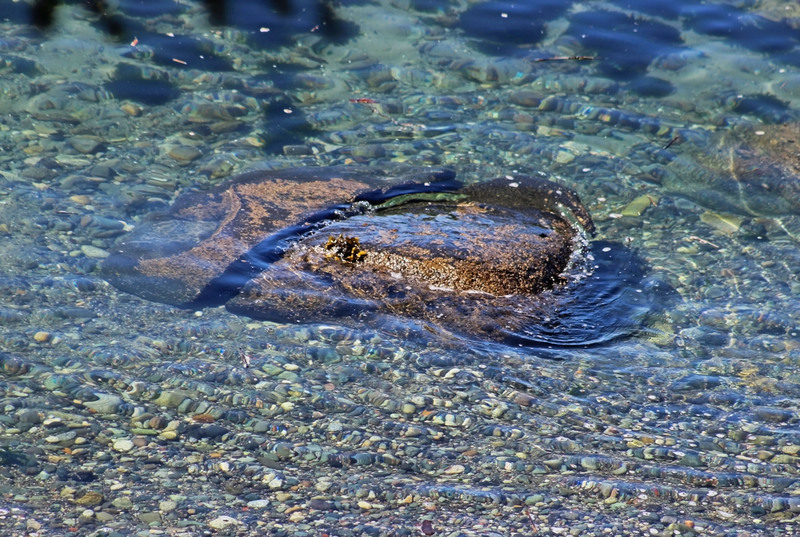 Currents are a constant in our lives whether we think they are only associated with swimming, floating vehicles , and flying vehicles. Currents can be composed of waves of opinion, short surges of emotions, or the constant, strong force carrying you on and through the ups and downs of your life. All currents are strong and cannot be easily swayed; they just keep on going the way they are going. We can take a lesson from that so that we don’t fall under any influence we haven’t chosen for ourselves. A good way to check for these currents is to look at what ‘everyone’ is doing or are saying they believe. If we unthinkingly start using the new catchphrase, listening to the newest music, considering the most favored career we might want to ask ourselves why we are doing so. Have we truly thought about the music we put in our heads? Or listened to what is coming out of our mouths? Or taken the pluses and minuses of that career that will take us to the top and sounds good too? Generally we drift along with a group of others along on a solitary path, neither of which imply any disconnectedness, never thinking that we’re not thinking for ourselves. Why? Categories: Digital Photography, life, nature, Philosophy, Photography, thoughts | Tags: awareness, choice, currents, direction, divided, help, rock, shoreline | Permalink. Sometimes we feel left behind, that others are moving along ahead of us; that they now know more, are more oriented and having more fun. That they are satisfied and that we are not and don’t know how become satisfied. We may set ourselves apart even more by becoming distant or avoiding contact with those closest to us and thus confusing both. Speaking up about how we feel lost in everyone’s wake or disconnected from everything familiar because it is all changing can clarify the issues in our minds, but we have to be willing to accept that we cannot live in a static world because our world is not static; it is dynamic and we must at least watch and follow along or we will likely feel disconnected and left a step behind until we become dynamic ourselves. This is not to say that we are not left behind occasionally, sometimes being left behind is inevitable we all die; what we must remember about that is that we, in our turn, will be leaving others behind. Sometimes it is best in any kind of relationship to leave each other behind if beliefs and goals changed or rates or directions of growth have diverged. It could be that being left behind or leaving another behind would be the best thing that could happen now, don’t you think? 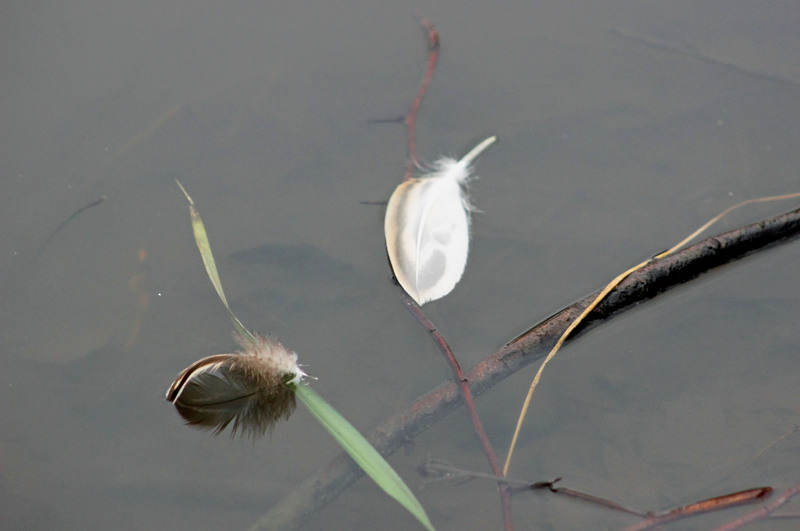 Categories: Digital Photography, life, nature, Philosophy, Photography, thoughts | Tags: cast off, choice, feather, grow, lake, learn, leaves, left behind, unneeded, unwanted | Permalink.